© Kena Betancur, AFP | A police officer in New York City shortly after a terror attack killed eight people on October 31. The attacker who killed eight people in a truck rampage in New York on Tuesday was a "soldier" of the Islamic State group, the jihadists said Thursday, according to a US-based monitoring group. "One of the soldiers of the Islamic State attacked a number of crusaders on a street in New York City," said an article in the latest issue of the group's al-Naba weekly newspaper, according to the SITE Intelligence Group. 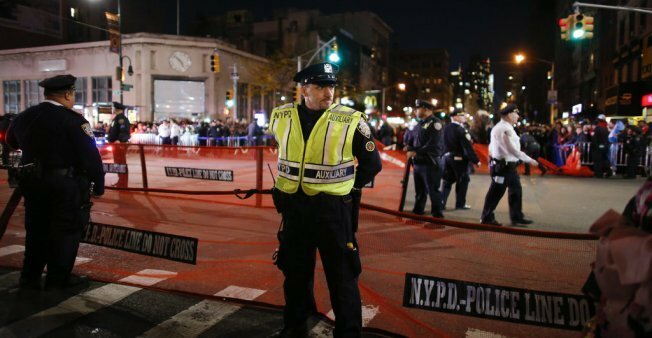 Sayfullo Saipov, 29, an immigrant from Uzbekistan, is charged with terrorism offences after allegedlydriving a rented pickup truck down a mile-long stretch of bike path in Manhattan. The charging document says he confessed to acting in the name of IS and "felt good about what he had done," even demanding to hang an IS flag in his hospital room. Police said he appeared to have followed very closely "the instructions" that IS put out to its followers on social media. He was allegedly in possession of three knives, thousands of IS propaganda images and dozens of videos that showed IS fighters killing prisoners. The picture of Saipov that has emerged is of a suspect who only radicalized after moving to the United States in 2010. "The grace of Allah, the operation instilled fear in crusader America, prompting them to increase security measures and intensify actions against immigrants to America," IS said in the al-Naba article, according to SITE. After a gunman shot dead 58 people last month in Las Vegas, IS claimed the killer was also one of its "soldiers" but the FBI said it found no such links with the accused, Stephen Paddock.